Home > Blog > Ancient Greece > PBS and National Geographic join us in Celebrating Greece! PBS and National Geographic join us in Celebrating Greece! This month, PBS and National Geographic join us in Celebrating Greece! Watch all videos below. The production used many stock footage video clips shot and owned by CelebrateGreece.com. 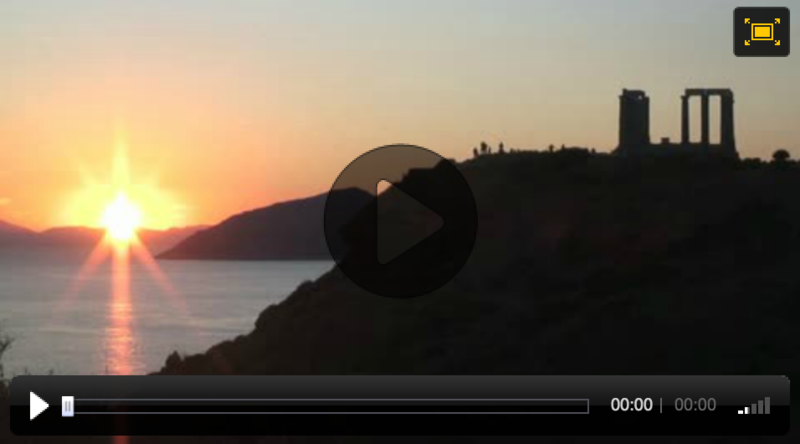 CelebrateGreece.com offers video journeys celebrating modern and ancient Greece. Join our online global community and receive special discounts on our DVDs and streaming videos. Our program, 300 Spartans - The Real Story, narrated by Dr. Michael Scott (PBS, NOVA, BBC, Nat. Geog) recently won Best Feature at the 2016 London Greek Film Festival. The #1 New York Times' About.com Greek culinary-travel program is A Greek Islands Destination Cooking Class (Santorini). JUNE 21, 2016 Cavemen to Kings | Uncover the origin story of Western civilization, as the early Greeks rise from nothing and change everything—laying the groundwork for a revolution in human thought. JUNE 28, 2016 The Good Strife | Explore history as the ancient Greeks emerge from the first dark ages to compose timeless epics, compete in the original Olympic Games, conjure early theories of nature, and construct the world’s first democracy. JULY 5, 2016 Chasing Greatness | Discover how the ancient Greeks finally reached the peak of civilization—revolutionizing art, architecture, drama, philosophy and government—and left a legacy that still points the way forward. THE GREEKS / PREVIEW (More video previews below) Delve into groundbreaking new explorations of the ancient Greeks' journey across time. OUT OF CHAOS Greek myths offer a dramatic account of gods’ origins — as well as our own. THE BIRTH OF CIVILIZATION Archaeologists offer a glimpse at Greece at the time of the earliest human settlements. THE OLDEST PIECE OF GREEK WRITING EVER DISCOVERED Archaeologists inspect an artifact that changes our understanding of how states formed. BRONZE AGE COLLAPSE Mycenaean civilization succumbs to an epic collapse that brings the Bronze Age to a close. THE STORY OF PROMETHEUS Greek performers and vivid animations tell the tale of a rebellious god named Prometheus.